The Germans are world reknown for making the best of, well about everything, you want a luxury cat with power and handling, well you can’t go wrong, and the same goes for skis. 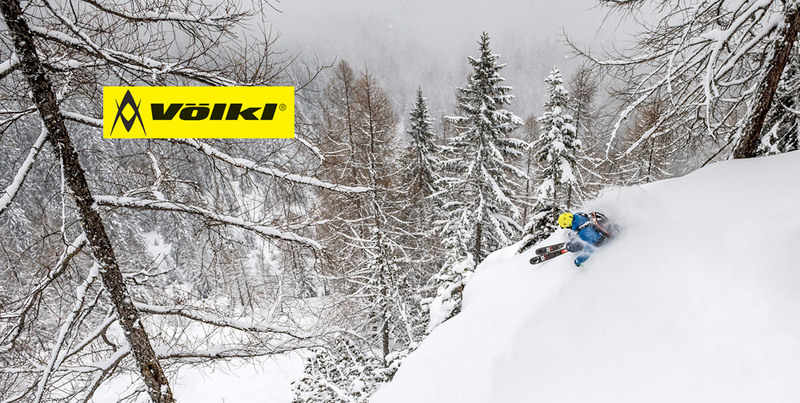 Since 1923 Völkl skis made in Straubing, Germany have stood for unlimited passion for skiing with high performance products that meet the demands skiers care about. At Völkl modern innovations meets traditional craftsmanship to deloiver the most precise, highest quality, and technologically advanced skis in the world. With a focus on constant improvement of their ski and the creation of the perfect setup to revolutionize skiing Völkl has continually stayed at the forefront of ski design. Be sure to stop into our Aspen ski shop for you ski rentals and we can swap you out with a fresh pair of Volkl skis every day for whatever the snow conditions and for whatever you are in the mood to ski. The Mantra is a legendary ski in Aspen for being the first ski to master everything from powder to ice with grace, Volkl has built on this even further and this year introduces the latest in an all mountain benchmark ski the M5 Mantra. This is not just new graphics but there are key innovations on the latest incarnation of the Mantra including a new way of arranging the metal layers called Titanal Frame: the metal sections follow the ski shape in the tip and tail, which includes an added carbon inlay in the tip. This new construction is lighter in weight but with the same damping properties as a full sheet of metal that have given this ski its loved stability in so many types of conditions. The full length sidewalls give the ski direct and strong power transmission from the skier to the mountain. While the tapered tips add to its precise turning characteristics and make it ideal for technical skiing on bumps and in the trees. Its new shape and 96mm waist give the Mantra a tightened turning radius and the Tip and Tail Rocker design yet once again make this ski the new performance standard for all mountain freeride skis. Once you have skied a wood core you will understand how this natural material delivers a great combination of snap layered on top of a smooth ride, the combination of beech and poplar results in an very durable wood core composed of hard wood in the binding area and lighter wood in the tip and tail resulting in a contrast of performance where you need it in the ski. The Kenod has a 90mm waist for quick turns in moguls and trees, early taper in the forebody to help initiate your carves, and tip and tail rocker with camber under foot to allow it to handle small powder days. With awards and accolades this year from Ski Magazine and Mountain Magazine you know the experst like this ski as well. Its carefully crafted design elements let you feel playful in soft snow, while the edge grip give the confidence to put the pedal down on groomers and even when it gets icy. This is an ideal ski rental for Aspen mountain for someone who wants stability and frontside performance. The new Secret from Völkl skis is built on the same Titanal Frame Construction that skiers love in the new M5 Mantra, but here they went with a narrower set of proporations that layout like 130-92-113mm. This tighter shape allows the ski to float in softer snow but where is shines is its tenacious edge grip on harder snow and ice. They added a carbon tip for reliability and stability at speeds but did so without adding weight. A Tip and Tail Rocker set against camber underfoot is the premise of this carving machine, while Volkl’s Full Sidewall construction give it an unparalleled level of all mountain performance no matter what snow conditions the mountain hands out this is an ideal ski rental for Aspen. The Yumi has a unique design intended to give the ski a playful and easy handling ride quality for the beginner to intermediate skier who wants a ski that does what it is told without having to drive it too hard. The Titanal Band gice the Yumi stability and smoothness without any additional weight. Featuring tip and tail rocker to help you get into and out of turns and keep you in control in soft snow this is a forgiving ski to ski. The full sidewall construction, and moderate taper in the tip make it a reliable ski in variable snow conditions. The strength of the Yumi is definitely the lively, yet stable feel on the front side blended with the float and maneuverability for an occasional off piste ramble making it an ideal ski rental for the first time skier new to Aspen Mountain and its legendary terrain. The 90 Eight W is Völkl’s women’s all mountain freeride ski, this lightweight and lively ski is made for the mountain freeride category and is ideal for the skier who wants a nimble, easy-handling ride without sacrificing smoothness and stability. The flat tail with Full Rockera and Smart Early Taper, make this a dedicated downhill skiing machine. A precision sidecut built on a wood core help create this top reviewed product for the skier seeking an all mountain freeride ski that can handle variable snow and groomers alike. No matter what mother nature hands out, this ski is a go-to. It’s maneuverable in soft and variable snow, yet has plenty of punch for the groomers.